Your very own Chandigarh city is all set to bring up an ambitious project that has been approved by the Joint Electricity Regulatory Commission (JERC). The project aims at establishing a 15-megawatt solar plant. This will be the city’s biggest ever solar plant, to be constructed at a cost of Rs 80 crore to Rs 90 crore, and the best part about it is that there shall be no investments by the authority. Developer of the private company selected to run the project will work on it and shall sell the electricity to the municipal corporation for the next 25 years. The MC water works in Sector 39 which receives water from the Bhakra Canal on a daily basis has been assigned to carry this project to completion as it has maximum open area for the same. The modalities and related exercises have been completed by the UT administration. Santosh Kumar, UT’s director environment and CEO, Chandigarh Renewable Energy and Science & Technology Promotion Society (Crest) said that they have received the project approval from JERC, for tge Renewable Energy Service Company (RESCO) project. Thr company selected for the work through the tender process will not raise any money from the Chandigarh administration and sell power to the MC for at least 25 years after the project gets completed. The project is also expected to try for 25% subsidy on this project from the Ministry Of New and Renewable Energy. 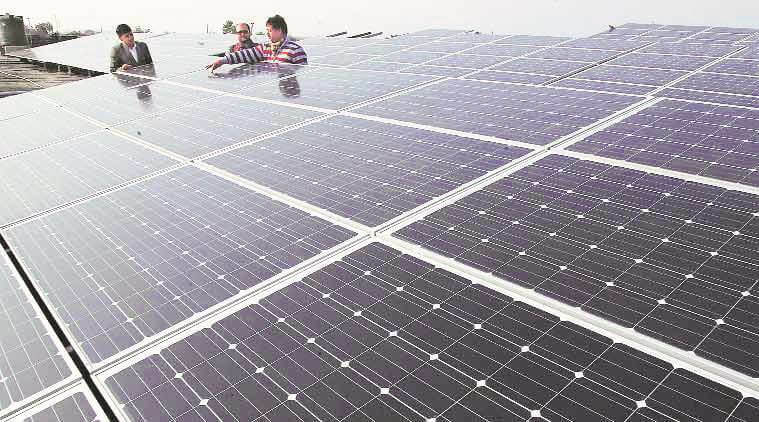 The MC official informed that the plan layout exercise has been conducted to plant these solar panels on the seven big open tanks supported by iron grills inside the Sector 39-based waterworks. They shall receive proper heat and would not be affected by the water storage or supply.